World Labyrinth Day this year is May 4th, 2019. 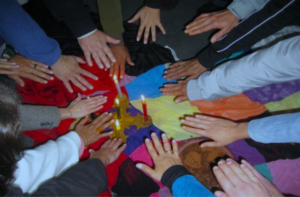 Join with us in a Labyrinth walk midday at the outdoor labyrinth site at Lourdes Grotto, Van Horne St.
Do you have questions about race and racism? How do we respond to racism? How do we have difficult conversations? How will we make our spaces more racially just? 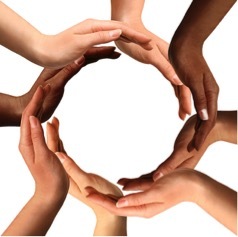 How do we welcome people of all racial identities? MILC hosted a book study on Forgiveness by Mark Sakamoto. The word forgiveness has made headlines in recent days as people respond to the trial of the driver in the Bronco’s bus crash. It is a timely topic. 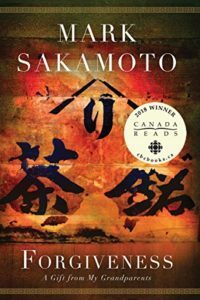 Winner of Canada Reads 2018, Mark Sakamoto’s memoir Forgiveness: A Gift from My Grandparents tells the story of his grandfather, a Canadian soldier who, during the Second World War, spent years as a prisoner of war in a Japanese camp, while at the same time his grandmother, a Japanese Canadian, was interned by the Canadian government. 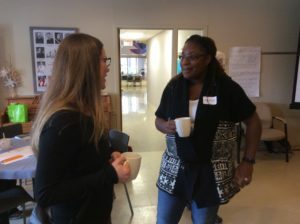 The Manitou Intentional Learning Community hosted a tea and talk on Sunday, March 3rd from 2:00 to 4:00 at St. Peter’s United Church. Rev. Dawn Vaneyk lead the discussion and afternoon tea was served. Donations to cover costs were accepted. 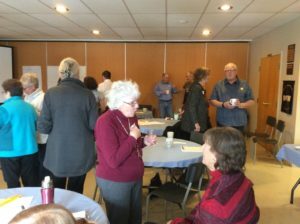 Clergy and lay worship leaders met Thursday, February 14, 2019 at St. Peter’s United Church for reflections and planning worship during the period of Lent. The 2018 Annual General Meeting was held November 14, 2019 at Grace United Church. The evening involved a dinner and general membership meeting at 5:30 pm. Reflections from our guest speakers and discussion began at 6:30pm. On October 11th, 2018 at St. Peter’s United Church, Kathy Dahmer offered a workshop for clergy discussing Medical Assistance in Dying in Ministry. On Saturday, September 22nd, St. Peter’s United Church hosted a panel discussion about upcoming changes to the structure of the United Church. Taking Steps for Peace took place Saturday, May 5, 2018 on World Labyrinth Day organized by MILC. 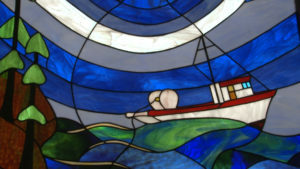 The day included a workshop at St. Peter’s United Church. Participants learned to lead labyrinth walks with the indoor labyrinth available, from Amy Hallman Grout, Rev. Linda Saffrey, Rev. Dawn Vaneyk, Faye Moffatt. The labyrinth walk took place at 1p.m. at the outdoor labyrinth site at Lourdes Grotto, Van Horne St. The Manitou Conference Living into Right Relations Committee and the Manitou Intentional Learning Community invite you to the premiere of the documentary movie Truly and Humbly: Memories of the First Apology. Through the stories of those present at the first Apology to Indigenous people by the United Church of Canada, this movie, directed by Dr. Hoi Cheu, presents the history of the Apology, meditates on its implications and presents a call for action. The hour long movie will be followed by a time for questions, discussion and refreshments. 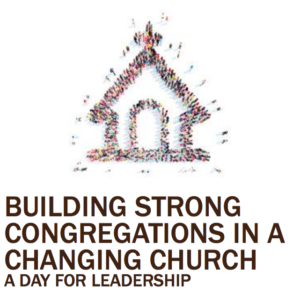 The Moderator of the United Church of Canada, the Right Reverend Jordan Cantwell will be present. 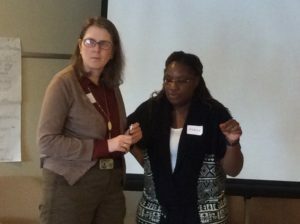 In an engaging and interactive workshop on Saturday April 14, 2018, Adele Halliday and Beth Baskin lead participants in an exploration of issues of power and privilege. identities? How might we become allies? How will we make our spaces more racially just? How do we have difficult conversations?